The interview was originally published at Business Ukraine. About the interviewee: Madeline Roache is a British journalist specializing in human rights issues in post-Soviet Russia. Her work has appeared in the Guardian, Newsweek, Al Jazeera and a range of other international media. As the world marks the fourth anniversary of Vladimir Putin’s Crimean invasion, the Ukrainian peninsula is fast becoming a human rights black hole. International aid agencies are unable to keep track of widespread abuses, while international journalists attempting to shed light on the realities of life under Russian occupation are also encountering mounting difficulties. British journalist Madeline Roache found this out for herself when a February 2018 visit to Crimea ended in detention and expulsion from the peninsula. She spoke to Business Ukraine magazine about the implications of an informal information blockade that is increasingly isolating the occupied peninsula from the outside world. 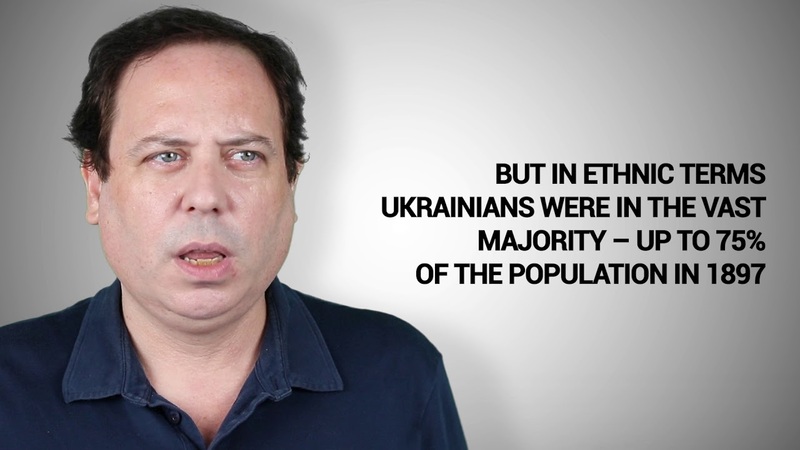 What first drew you to the theme of human rights abuses in Crimea? I became interested in post-Soviet human rights issues during my Masters in Russian and post-Soviet politics at University College London. For my final thesis, I researched the resumption of Soviet-era punitive psychiatry in Putin’s Russia. In March 2017, I discovered that this form of political repression had resurfaced in Crimea. As a journalist, I am interested in different forms of political repression and the lives of ordinary people in post-conflict zones. During visits to Crimea, I met with the families of the Crimean Tatar political prisoners. I wanted to learn about the public and personal challenges they face, including what it’s like for them to live in Crimea knowing they are constantly being monitored, or the impact on children unable to see their fathers. Over 100 Crimean Tatar children are now without their fathers due to Russian imprisonment. In my opinion, we have only recently begun to see what the Russian occupation of Crimea looks like in terms of its social, political and cultural consequences. Since 2014, the human rights situation has severely deteriorated. Abductions, imprisonments and murders are systematically being committed against journalists, activists and, particularly, the Crimean Tatar community. Restrictive Russian media laws have eliminated independent sources of information and crushed freedom of expression. This appears to be the unfolding reality of the Russian occupation in today’s Crimea. I believe coverage of this is just as important as reporting from active warzones. Did you feel physically threatened or merely bureaucratically inconvenienced during your recent encounters with the Russian authorities in Crimea? The experience had the effect of intimidation more than anything. The officers made it seem as though I was under observation whilst in Crimea. During a standard immigration check, they asked about my journalistic work and political interest in the region. The officers said they knew I had used the word “annexation” in my conversations with local people and told me, “We do not like this word. It is not correct.” Whether they really overheard my conversations with local people or just pulled the language from one of my articles, the message they communicated was the same: we are watching people who are critical of the government. I am aware of the treatment Ukrainian and Russian journalists sometimes encounter during detention, so in that respect I consider myself lucky. I got off extremely lightly. It was an intimidation tactic to deter me from writing about human rights violations. It is just one example of the many ways in which the authorities are crushing free speech in Crimea. Did you receive any warnings from your Crimean contacts that you might encounter such problems? I did not receive any specific warnings but they did tell me that Crimea is not safe. Contacts advised me to “keep my head down” and not draw attention to myself as a foreigner. They also emphasized that I should not post anything on social media about my presence in Crimea and I should turn off all location services on my phone and computer. The charges brought against you in Crimea suggest that you were under surveillance and imply that the people you spoke to also faced questioning. What do such practices mean for future media coverage of Crimea? I think the sense of surveillance certainly could deter international journalists from reporting on the ground in Crimea. However, as far as I am aware, very few foreign journalists have visited Crimea recently anyway. There are so many people in Crimea willing to speak with journalists about how their life has changed under Russia. I really hope news agencies will encourage and support their reporters to work in Crimea in any way they can. In the absence of on-the-ground reporting, I think social media can be a very powerful tool for international journalists to learn about what is happening and to contact people in the region who want to get their message out. In an environment of deteriorating media freedom, how can the outside world hope to keep informed about the realities of life in Russian-occupied Crimea? I think they can keep informed by following the news coverage produced by local Ukrainian news outlets who are keeping a close eye on Crimea, and by reading updates from local NGOs and civil society groups like Crimean Solidarity. 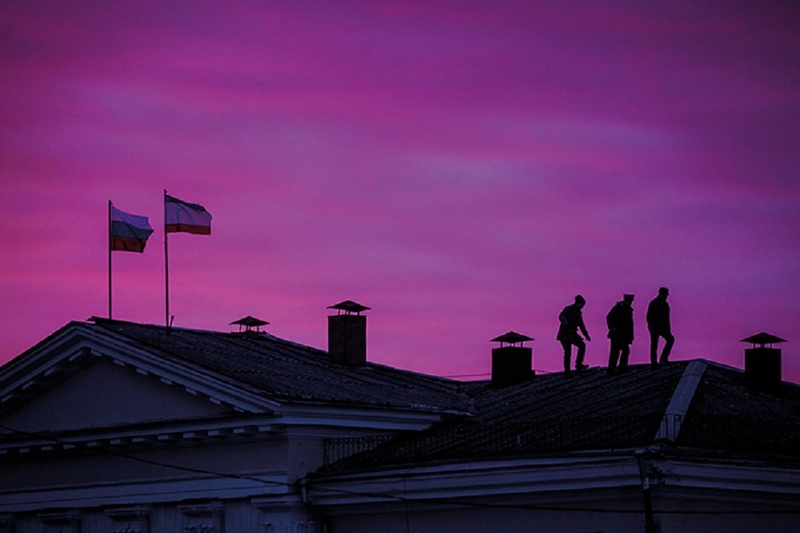 There are many Crimean activists working hard to have their voices heard over social media. Their posts and videos have been an invaluable source of information for journalists. Luckily, language is no longer an obstacle since Facebook now automatically translates posts.